We have many satisfied customers in Glenview. These residents appreciate our commitment to quality products and workmanship and to meeting their schedule and budget, as well as our open communication style and dedication to personal service. We have worked hard to live up to our reputation on every job we’ve undertaken in Glenview, and we succeeded — just ask your neighbors! Whether you are interested in interior or exterior home remodeling, rest assured that Erdmann is the right design/build contractor for you. Our professionals possess the skills, knowledge and expertise to create the luxurious home of your dreams. Our exterior jobs in Glenview include window and exterior door installation, siding replacement, and roofing repair and replacement. 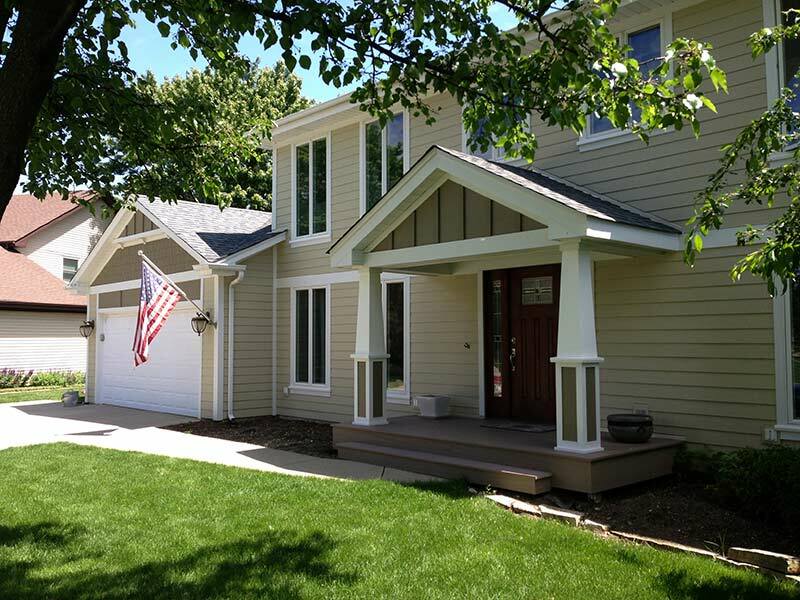 We use only high-quality products — including CertainTeed roofing, James Hardie® siding, Marvin and Beechworth windows, and Clopay® garage doors — and we provide the most skilled installation in the business. In fact, we’re so confident in our services and the products we use that we offer a lifetime labor guarantee. Many Glenview homes have beautifully landscaped backyards. Erdmann can help you enjoy your patio or deck even more by designing and building an attractive outdoor kitchen, dining or living room, or protecting your space from the elements with a cover or cabana. Entertain outdoors or relax comfortably in a tranquil setting — day or night — with your luxurious new outdoor space. What interior renovation projects does Erdmann undertake in Glenview? We design and build kitchens, bathrooms and room additions, and provide home remodeling services. Our professionals are experts when it comes to making sure any modernization project matches your vision and your lifestyle, while complementing your home’s current style. Plus, we ensure that your interior project fits into the style, size and price range of other homes in your neighborhood so you get the greatest return on your investment.